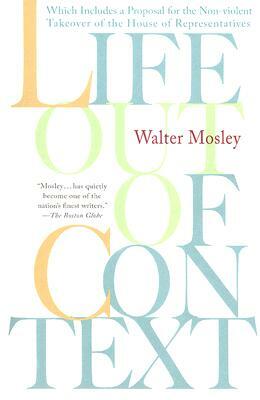 Walter Mosley is the author of 19 books which, over the course of the fourteen years of his career, span two series of mysteries, literary fiction, science fiction, and political philosophy. He has been the recipient of many awards and honors unusual for a writer of fiction including a Grammy Award for his liner notes accompanying "Richard Pryor...And It's Deep Too! : The Complete Warner Bros. Recordings (1968-1992)" and the Sundance Institute Risk-Takers Award for 2004. He will be given an honorary doctorate this year by City College of New York. He was the founder of the first-ever degree program to help train publishing professionals and encourage publishing houses to hire more candidates of color at City College. In addition, PEN West will honor him with a Lifetime Achievement Award in 2005. He has also been honored by TransAfrica Forum, was a recipient of the prestigious Anisfield Wolf Award, and served as editor for The Best American Short Stories of 2003.